An End of Treatment Bell rang for first time Universtity Hospital of Wales. Carter rings the bell at home time. 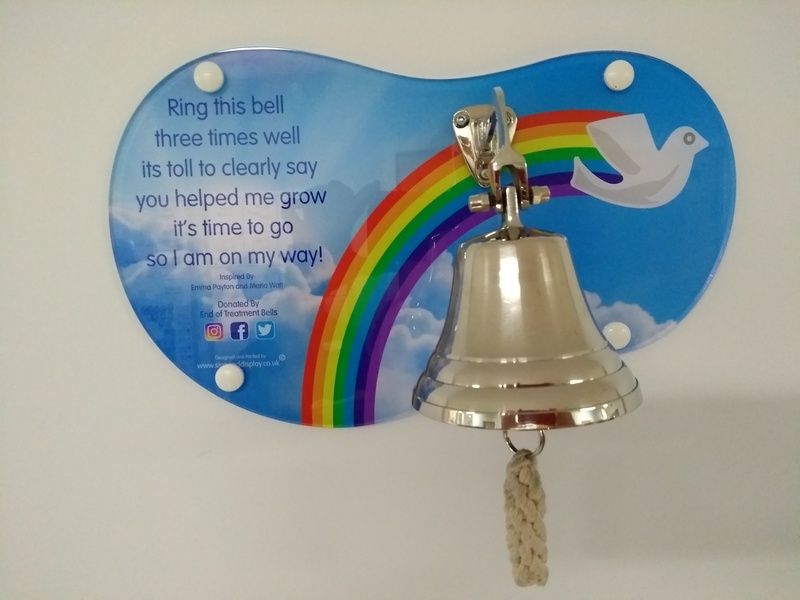 An End of Treatment Bell has been installed on the Neonatal Intensive Care Unit (NICU) at the University Hospital of Wales, so that when the smallest, most vulnerable patients have grown and finished their treatment, they ring the bell and move on to the next chapter of their lives. Carter Griffin, along with his dad Martin, were the first family to ring the End of Treatment Bell on the unit before leaving for home to settle into normal family life. Daniel Roberts, Neonatal Nurse said: “Carter was born on 16 November 2018, he is twin number two, his brother Daniel came first, they were born at approximately 28 weeks gestation. “Carter had a bumpy ride to start with, his little brother Daniel has always been a bit behind him but he soon caught up. 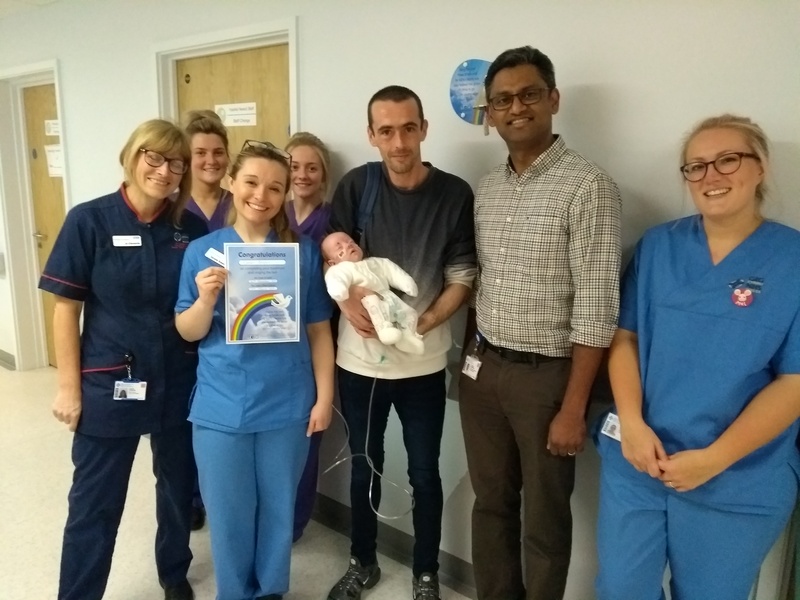 This is the first NICU bell to be rang in the United Kingdom!